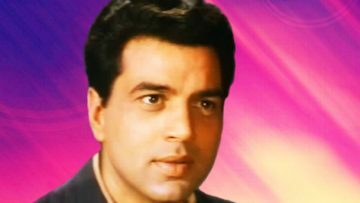 Dharmendra MP (born ਧਰਮ ਸਿੰਘ ਦਿਓਲ Dharam Singh Deol 8 December 1935) is an Indian film actor, producer and politician. In 1997, he received the Filmfare Lifetime Achievement Award for his contribution to Hindi cinema. His starring roles in action films earned him nicknames such as “Action King” and “He-Man”. One of his most notable roles was in Sholay (1975). He was a member of the 14th Lok Sabha of India, representing Bikaner constituency in Rajasthan from Bharatiya Janata Party (BJP). In 2012, he was honoured India’s third highest civilian honour Padma Bhushan by the Government of India.